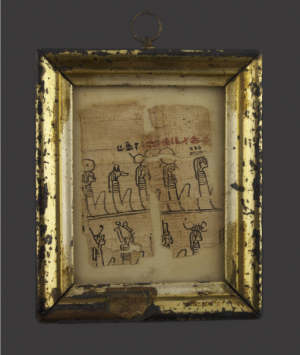 The Egyptian ‘Book of the Dead’ consisted of complex hieroglyphic text, and imagery, (vignettes), which together form and illustrate magical spells, their purpose being to help the deceased individual in their passage from this world to the next. It dealt with the ‘judgement’ of the dead, taking in to account the whole sum of the deceased existence on earth, literally placing their heart in a balance scale before the gods. The outcome being either re-birth in to new life or being damned to the monster like ’Amemat’, ‘swallower of the dead’ who devoured the souls of the unworthy. 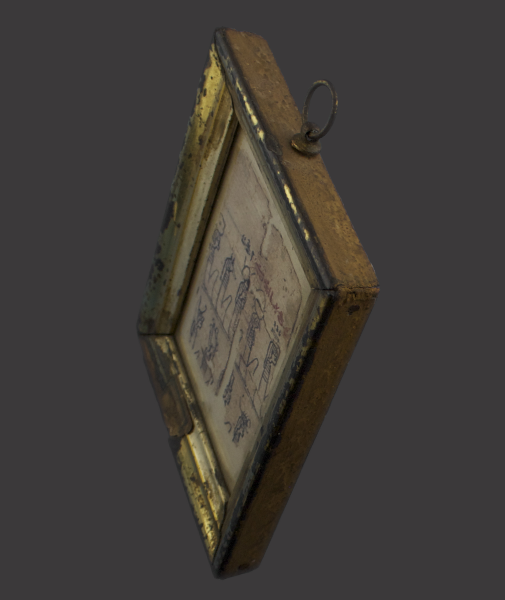 This fragment probably forms part of what is known as the ‘Negative Confession’, where the heart of the deceased declares before the gods that they have not committed a long list of specific sins. With un-researched hieroglyphic text in red and black and featuring gods and goddesses including, ‘Anubis’, (god of mummification who weighs the heart of the deceased in a balance against ‘right’ for judgement). 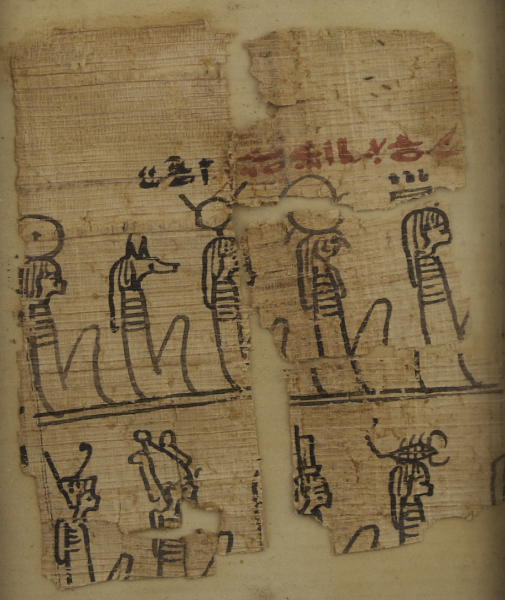 The sun goddesses ‘Hathor’ and ‘Nut’. The sun god, ‘Ra-Horakhty’, The goddesses,‘Neith and ‘Selkis’,(protectors of the dead). The goddess ‘Isis’ and also ‘Osiris’, the chief god of the dead. 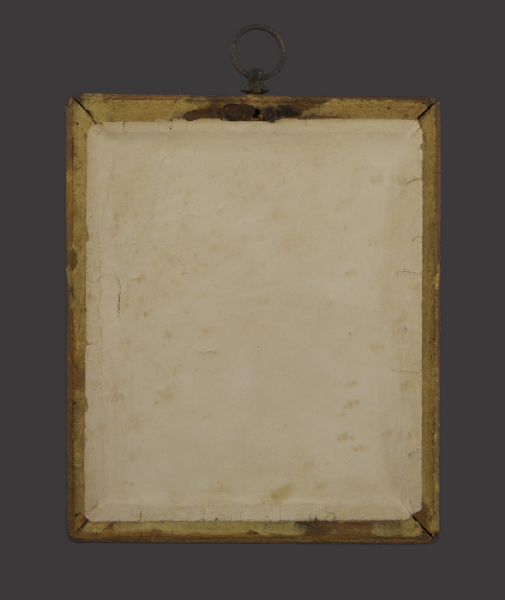 It is contained within a glazed 19th century gilt frame with original early auction, or collection inventory label, marked ‘no 24’ and a date, (now slightly illegible). Formally part of the personal collection of the greatly respected and hugely influential interior decorator the late ‘Geoffrey Bennison’, it can be seen ‘in situ’ on the wall of his living room on the cover of the 1985 ‘Christies’ sale catalogue and again inside in a rare full colour interior image.